Taking good care of your plants is essential for every gardener, whether that be a complete beginner, or an advanced gardener. Proper watering, clearing out the pests and fertilizing are just the tip of the iceberg of this beautiful hobby. A lot of people forget that not all plants require the same approach when it comes to fertilizing. Succulent plants, for example, love mild fertilizers, and that is why we have made this guide on how to make a compost tea. 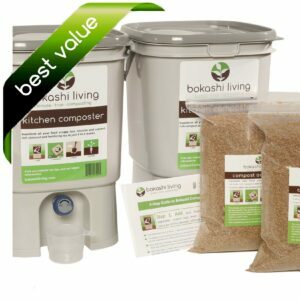 Bokashi tea is the liquid produced from your bokashi kitchen composter. 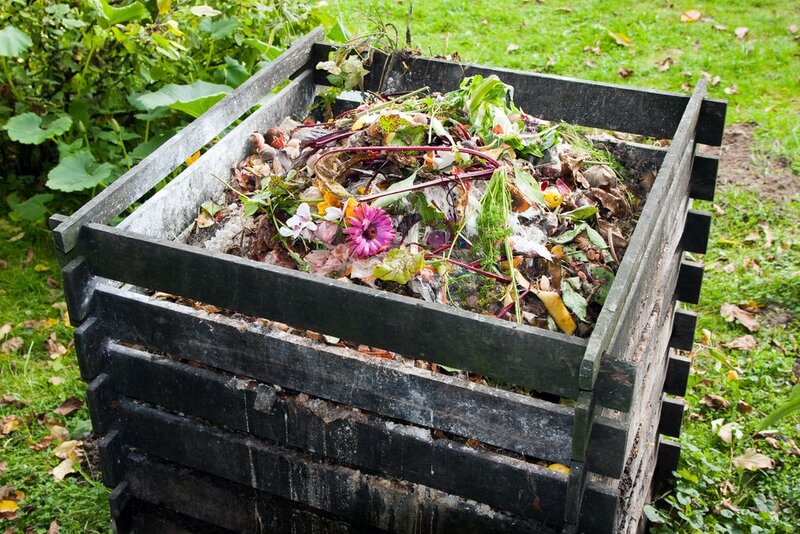 It is teeming with specially selected, garden friendly bokashi microbes, and also nutrients from your food waste. 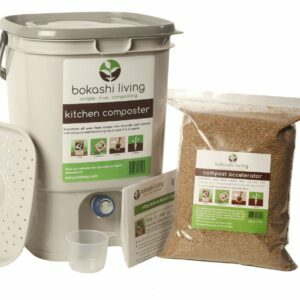 Bokashi tea is a very useful by-product of bokashi composting, and it takes no extra work to produce. The primary use for bokashi tea is for feeding plants by adding it to the soil. Getting the microbes down to the root level of the plants produces amazing results for plant growth, health and vitality. Simply put, plant roots thrive on them. Because of its unique microbial content, bokashi tea can also be used for unblocking slow and smelly drains, to enhance slow compost piles, and as a weed killer. Read more. Compost tea is also a fertilizer, and can be used as a foliar spray or a soil additive. Compost tea differs from bokashi tea in its microbial makeup. Simply put, compost tea is made by steeping aged compost in water. As for the container, an ordinary plastic bucket with fitting cover will do the trick. You will need some time to make this solution, so plan to have tea prepared before the fertilizing season begins. The most important part of your mixture is, of course, the compost. It is best to use compost from the bottom of the pile, since the upper layer can and will decay, thus losing nutrients and minerals. For about five gallons of compost tea, you will need two or three shovels of compost. First of all, prepare your bucket. Make sure that there are no cracks or leaks because you don’t want to lose your precious tea. Next, add two or three shovels of compost at the bottom, and fill it up with water. Although the water and compost will mix in nicely, step things up a bit and stir it a bit more with whatever stick you have close at hand. Some people love to get a bit creative, improving their results along the way. Adding molasses to the mixture will improve your results because the sugar in it will boost the production of useful bacteria. Of course, this is not essential, so you may entirely skip this step if you are uncertain on how it will turn out. Some people also tend to add sugar, but we feel that this is a bit too much, so the bottom line is to add some molasses if you have it, or not, it is up to you. Adding bokashi bran to your compost tea brew can also be used to super-charge your compost tea. Read more. Again, this is not an essential ingredient, so feel free to skip straight on to step 3. 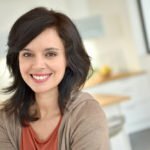 Now, with the mixture prepared, all you need to do is to cover it, and put it aside to sit for five to six days, if you haven’t used molasses or bokashi bran. If you have added molasses or bran, about two days will be sufficient. Also, it is known that carbon-dioxide appears during the fermentation process, so it is best advised to stir up the mixture a few times a day. This way the gas will be released better, the mixture will be more cohesive, and nutrients will be absorbed into water in a higher amount. Some people recommend adding an aquarium pump, which increases the amount of oxygen in tea, but this is optional. After the mixture had worked its magic for a few days, it is time to separate the tea from compost. To do so, use the other bucket, and cover it with an old t-shirt. Do not tighten the shirt too much. Tie the rope around the bucket, and be sure that it holds the fabric firmly. Next thing to do is to pour the tea over the fabric. Do this slowly, so that you avoid splashes and potentially untying of the shirt. To be sure that this won’t happen, you can always put wire mesh strainer under the shirt. Pouring the liquid slowly will also mean that more compost remains in the bucket. You may need to stop and clean up the mesh or the cloth during this step. All there is left to do is to clean up and to transfer the tea to the container where it will be held. Compost tea holds a lot of nutrients, and the majority of which are made of three elements, nitrogen, phosphorus, and sulfur. The first is the most important, because it improves the growth of useful bacteria at the roots of a plant, making it prosper better and faster. However, you need to be careful with this ingredient, because it can lift up the acidity of the soil, and that can result in dying out of the plant. We firmly suggest finding the best pH meter available so that you can monitor the acidity accurately. So that is it! We hope that this article helped you and that your compost tea is already feeding your plants. Happy gardening! Am a gardener and running a nursery. I don’t think about these kinds of works for my garden till now. I think this is an amazing tip to have in my garden. I agree with your point that not all the plants need same approach. Most of the gardeners made mistake here only. A great and new tip about gardening I have read in recent times.